Father Shawn Haremza was born and raised in the Twin Cities, but called by God to serve the Diocese of Winona after completing a degree in the field of Corrections at Mankato State University. He was ordained to the priesthood in May 2000. He remembers how significant it was to be ordained with of two other young men of Christ. After his ordination, Fr. Shawn served at the Cathedral of the Sacred Heart in Winona, MN for three years. Later, Fr. Shawn was assigned to be the pastor in parishes of Lewiston and Harmony for ten years, followed by different assignments in Fairmont and Rochester. Fr. Shawn sees his “calling” as of today, to be in a supporting role as a priest. Fr. 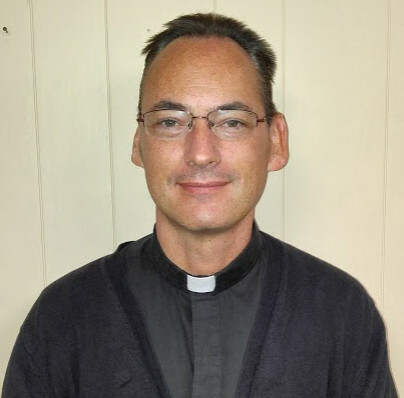 Shawn finds humble joy while fulfilling any of his duties to Resurrection Catholic Church, St. Francis of Assisi Catholic School, IHM Seminary, and as Chaplain to various other Catholic groups and clubs in the Rochester area such as the Knights of Columbus and the Serrans. In short, he enjoys his current role and service to the Church. Along with various hobbies such as reading and guitar, Fr. Shawn is a gifted speaker, teacher, philosopher, team-player, and spiritual director.